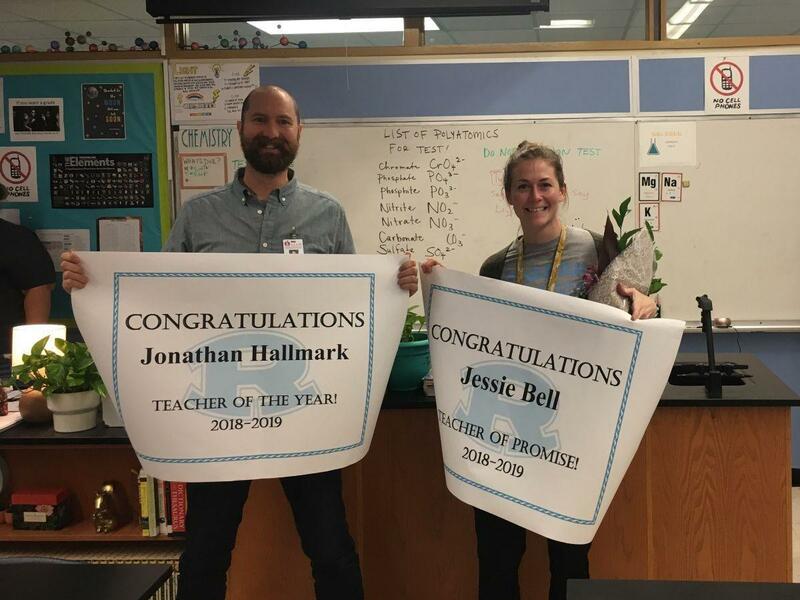 Congratulations to Jonathan Hallmark and Jessie Bell for being named 2018-19 Teacher of the Year and Teacher of Promise respectively. Way to go Science Team! Go Raiders!